Only one month in and 2016 has already delivered a series of devastating economic blows to Russia. As the price of oil and the value of the ruble plummet, so, too, does the standard of living of the average Russian citizen. Russia’s central bank has been widely praised for not spending the country’s hard-currency reserves to support the ruble — an admittedly losing proposition — yet it has done so on the backs of the Russian people. The public has responded stoically and largely without panic, even as they see their middle-class aspirations crash. But a whiff of desperation can now be sensed, and it is the Kremlin that appears the most perplexed about what the next steps it should take. President Vladimir Putin has gone so far as to blame Soviet Union founder Vladimir Lenin for Russia’s current difficulties. Historical scapegoats, however, do not relieve Putin and his government of responsibility for Russia’s financial mess. As the economic temperature rises, Moscow will likely find itself under increased pressure to re-examine both its domestic policies and its foreign adventures. Signs of panic and dysfunction are everywhere. Finance Minister Anton Siluanov has demanded yet another round of 10 percent budget cuts. (A similar reduction occurred in 2015). Otherwise, Siluanov warns, Russia faces a repeat of the 1998-99 financial crash and possible default — not exactly reassuring words from the man in charge of Russia’s economic policy. The 2016 budget, meanwhile, already included catastrophic reductions in education, health care and social spending. How will the Russian public react to additional cuts? No one knows. To raise revenues, the Kremlin is considering selling off shares in large state companies, including Rosneft, Sberbank and Aeroflot, while still maintaining majority control. 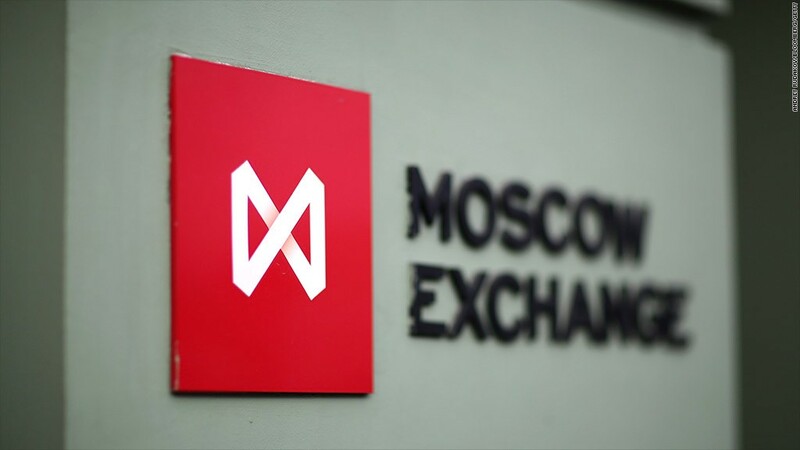 Moscow has long vowed never to sell these shares in a depressed market, but that is exactly what would happen under current economic conditions. The relevant government ministries, however, do not appear to have cleared these privatizations with Putin. He just demanded that the purchasers of these assets must be subject to Russian law — not offshore entities. This sharply reduces an already limited pool of potential buyers. Putin also said there would be no fire sale of state assets. Therefore, not only has Putin and his government most likely lost a much-needed infusion of cash, they also have looked divided and unsure of themselves in the process. Several Russian government ministries are also busy preparing an anti-crisis plan to bolster certain national industries, which almost sounds encouraging until one considers the fate of the 2015 anti-crisis plan. Only 17 of the 60 programs were fully implemented last year, according to Russia’s Audit Chamber, leaving billions of rubles unspent. There is little reason to believe that the 2016 stimulus plan — with less money available — will fare any better than its predecessor in reviving the Russian economy. What the Russian elite fears most is that the economic problems will spill over into politics. Sergei Naryshkin, the speaker of the Russian parliament, issued a less-than-subtle warning to Duma deputies who will be facing re-election in September 2016. He cautioned that the elections should not serve as a “detonator for a social explosion.” In other words, candidates should not compete by criticizing the state, and political debate cannot serve as a safety valve to lower social tensions. Whether panic leads to a change of government, growing protests, an economic meltdown or political crackdown remains unknown. So far, the Russian people have acted more calmly than their leaders. The elite’s growing anxiety, however, is beginning to move from the domestic to the international arena. Russia is now considering suspending its loans to foreign countries. Moreover, according to the Financial Times, in December Putin allegedly asked Syrian President Bashar al-Assad to step down. This move was in contradiction to all his statements of public support. But perhaps most significantly, a January 2016 brainstorming session between Assistant Secretary of State Victoria Nuland and the Kremlin’s PR guru, Vladislav Surkov, discussed possible solutions in Ukraine. Surkov’s participation was particularly telling because he is the one who ultimately will have to spin any strategic retreat in Ukraine to Russia’s advantage. Both Secretary of State John Kerry and French Economy Minister Emmanuel Macron have hinted that sanctions against Russia could be lifted in the next few months if the Minsk 2 agreements are fully implemented. Sanctions relief would be the first step in Moscow’s economic rehabilitation, though major growth would still remain a long way off. The negotiations over Ukraine are no sure thing. The United States, the European Union and Russia will have to do both hand-holding and arm-twisting to bring the respective parties to the table. If no deal is reached, however, and the economy continues to tank, Putin will have to stop the emergent signs of panic from spreading. If the government loses its head in this crisis, the Russian people are bound to follow. That is Putin’s worst-case scenario.